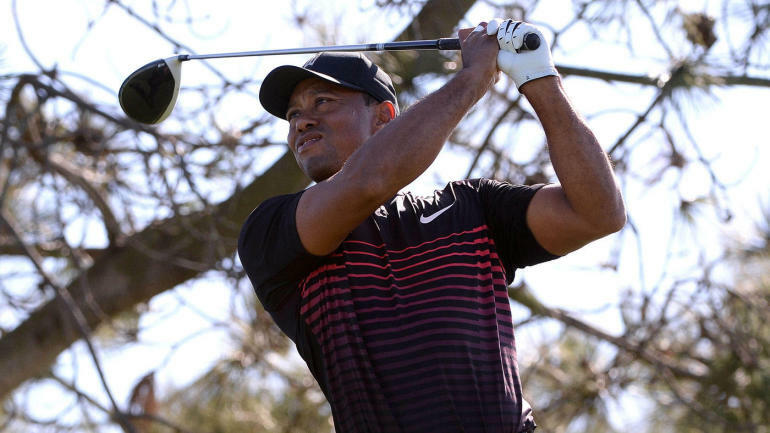 Tiger Woods shot an even-par 72 in the first round of the Farmers Insurance Open at Torrey Pines on Thursday. He’s seven back of the lead and T88 after 18 holes. Despite those numbers, it should be considered both an encouraging round for Woods and a success for his first official round back on Tour in 52 weeks. Now, your blog’s outbound links was encrypted! Klik Gambar Untuk Menuju Link Download! Woods went out in 37 with two bogeys and a birdie on the front nine of the harder South Course on Thursday, and he looked a little shaky early. He missed the first fairway (of course) and got it to 2 over before making birdie at the par-5 6th hole. It looked again as if his round could turn sideways after a bogey at the par-5 13th, but Woods nearly aced the 17th and closed in style with a solid 35 on the back. Here are five takeaways from his first round back in 12 months. 1. Better than most (years): Woods opened last year’s round 1 under through 11 holes, but he ended up shooting 76. When it looked very briefly as if this round could head north like that, Woods held on and played through it. He also hit some big boy iron shots at times on the tougher of the two courses he’ll play in the first two rounds. He rebounded last season with a 72 in Round 2, but it wasn’t enough to make the cut. I expect something better than that on Friday when he plays the North Course. I don’t know what this week (or season) holds, but I know Woods looked far, far better this year than he did over the first 18 holes last time around. 2. Rust on the greens: Despite what he said about his iron play, Woods finished in the top 30 in strokes gained tee to green on Thursday, but he barely finished in the top 60 in strokes gained putting. Putting was probably always going to be the primary issue for Woods at the beginning of 2018, and it showed on Thursday. I trust that it will come around, though. There has to be less concern about Woods improving his short game than his long one (if that was instead the issue). 3. Great back nine: Woods got stronger as the round went on, which is encouraging from a long-term perspective. He hit eight-of-nine greens on the back and only made one bogey over the last 13 holes. Nick Faldo said on Golf Channel that he thought Tiger found something on the 15th tee box when he pumped a drive 320 yards straightaway. That may or may not be true, but he definitely improved with each hole in Round 1. 4. He looked thin: This might sound crazy, but I was encouraged by how Woods’ body looked. He showed up at Torrey Pines last year looking like he was trying to contend with LeBron James in the weight room. This year, he looked even thinner than he did at the Hero World Challenge in December. That’s a good thing and should only aid his swing in the future. 5. Golf is (more) fun again: Golf Twitter was on fire, the galleries at Torrey Pines ballooned and there was a general buzz in the sports world on Thursday. You’re joking yourself if you don’t think golf is better and more exciting when Woods is playing it at the highest level. He might not make the cut, and he might not contend or win all year. But Tiger being back creates a palpable excitement in and around the golf world. Hopefully, he’s here for good this time. Related Posts of "Farmers Insurance Open: Five takeaways from Tiger Woods’ return to the PGA Tour"